Joshua Brewer-Smith A sports science student from Bangor University has been selected to lead the UK’s finest white-water kayakers in an extended trip to discover new stretches of world class waters. 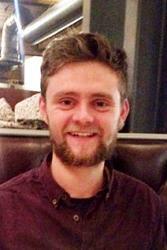 Joshua Brewer-Smith, 20, from Dorset, along with 6 other students from England and Scotland will be taking part in the 2015 British Universities Kayak Expedition (BUKE). Later on this year, the BUKE trip will see a team of the UK's best student white-water kayakers travel to Madagascar in order to paddle stretches of river yet to be navigated, with the intention to record and publish their findings to aid future kayaking and rafting endeavours. Joshua began kayaking at age eight and has a vast experience of white-water kayaking all over the UK and as far afield as Ecuador. Since moving to north Wales to study at Bangor University in 2013, he has seen the biggest step up in his kayaking to date as the area offers an epic training ground. 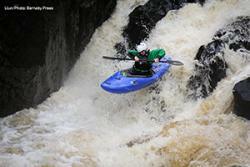 The team of experienced kayakers are now preparing for their two-month-long epic journey. Joshua explained: “While we’re in Madagascar, we plan on travelling down some of the previously documented white-water rivers the island has to offer. The Ikopa, Onive and Mananjary for example are all previously paddled, Grade 5 Rivers of which we hope to complete successful descents. “As a central goal while on the expedition, we wish to complete a full descent of the lower Mananara River, a section beginning when the last of the main tributaries has joined. This River begins in the mountains of the South East of the country and flows into the Indian Ocean at Ampatsinakoho, it is a massive river, draining a huge amount of land and this section lasts for 140km. In this time, it drops almost 600m vertically; resulting is big volume rapids and at times, multiple branches where the river splits around islands. Kayaking is not the only aim of the expedition; the team are all enthusiastic about giving something back to the people of Madagascar as part of their expedition. One way will be to create a short guide book for kayaking in Madagascar, and promote Madagascar as the next big place for kayaking holidays. During the planning stages and the expedition the team hope to be able to work with local governing bodies, charities and scientific organisations in order to bring real benefit to Madagascar. The BUKE trip is a biennial event allowing for a team of the UK's finest white-water kayakers to undertake a trip to a collectively decided destination (generally very remote and unexplored) with the intention to achieve an agreed goal in combination with kayaking new rivers and making their mark for Britain in the world of exploratory kayaking. Previous expeditions have seen teams visit the likes of Venezuela, Vietnam, Siberia/Mongolia, Kyrgyzstan, and many more, all of which have been extremely well documented as a resounding success. The teams all begin unsupported and must take it upon themselves to seek funding and sponsorship to aide them in their venture.